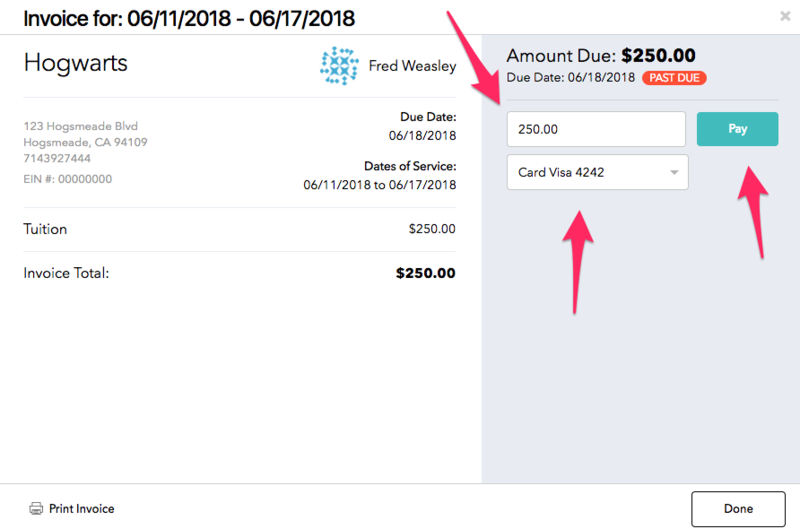 If parents would like to pay invoices via bank transfer or credit cards, they will connect their bank account, and then have access to the page below. As long as the school has invited a parent to join brightwheel via his/her email address, then any invoices you create for their child and payments the school mark as paid will be emailed to the parent email address on file. 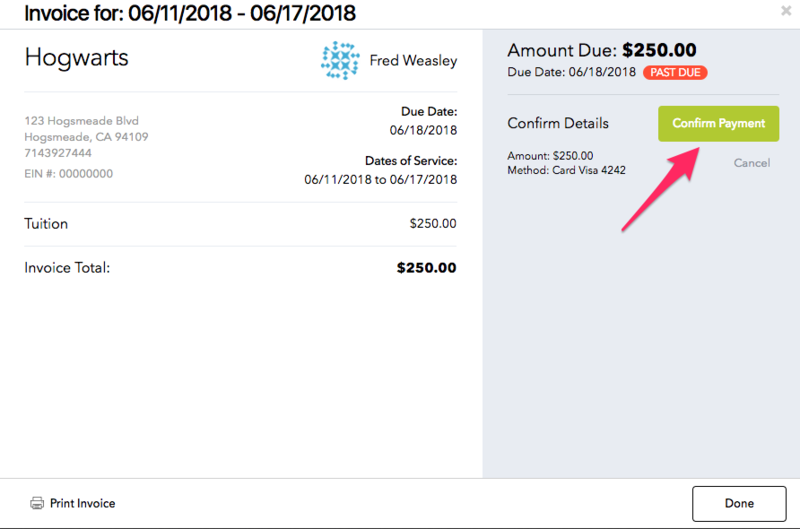 This is true even if the parent has not yet activated their brightwheel account or added a payment method By linking to the billing feature, however, parents will be able to pay your invoices via bank transfers online or credit card, in addition to check or cash. Next, you will confirm your payment method, confirm the total amount and select Pay. You will then be prompted to confirm. Once payment is complete you will get a Success message and your payment will be pending! Are you a school looking for how to make a cash or check payment? See this article!